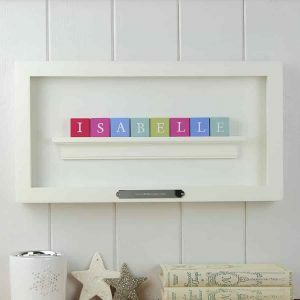 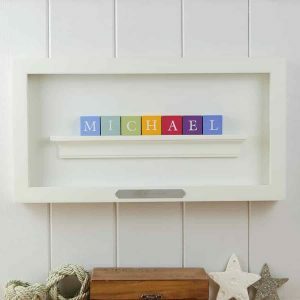 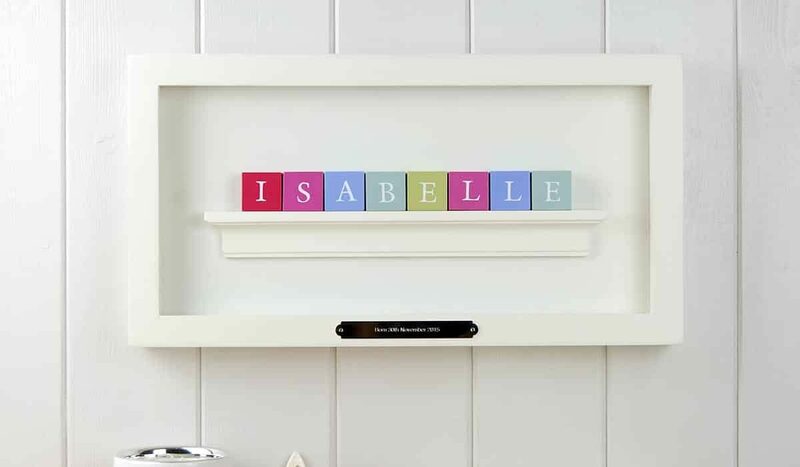 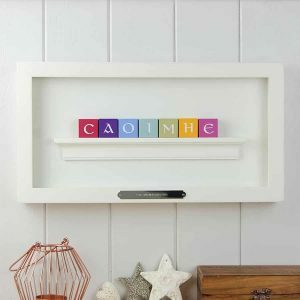 The Christening Gift with guaranteed ‘WOW’ factor: Baby’s name in hand stamped wooden ABC blocks mounted in a white timber frame. 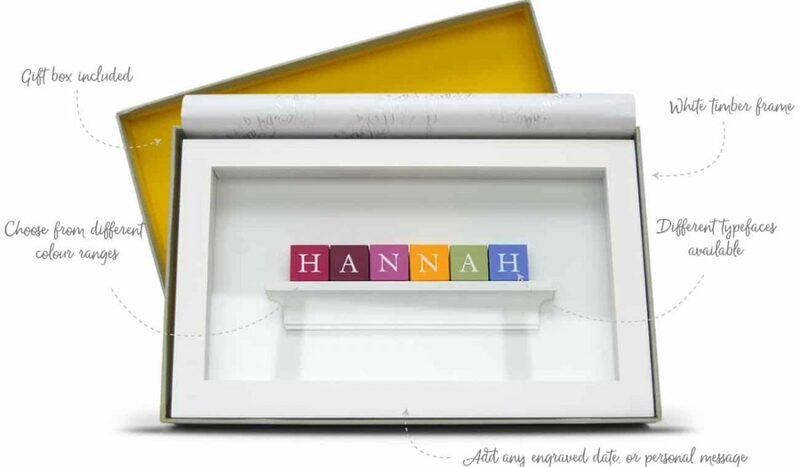 Makes a Stunning Christening gift. 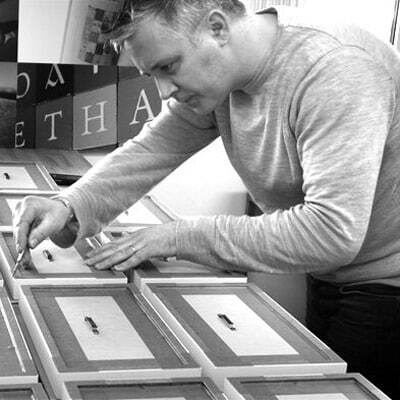 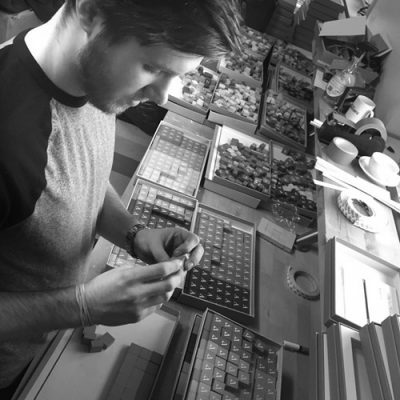 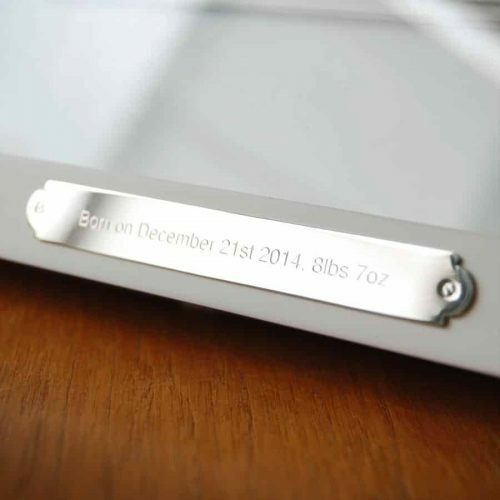 Free Engraving: “On your Christening Day + Date”, or Personal message. 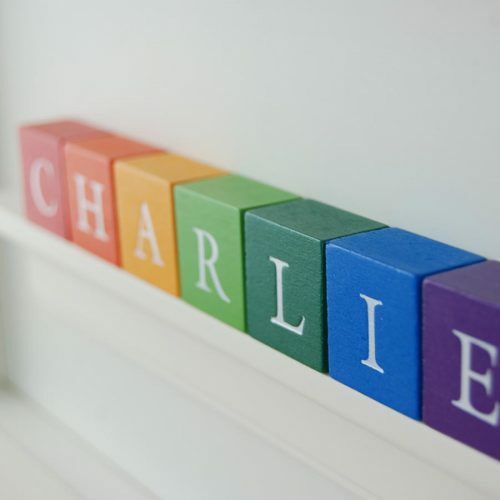 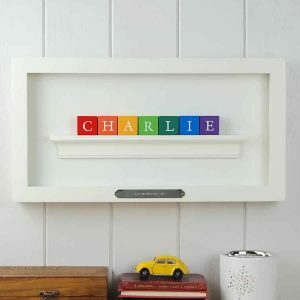 Available in Rainbow, Pastel or Vintage colour Blocks + Classic or Irish Letters. 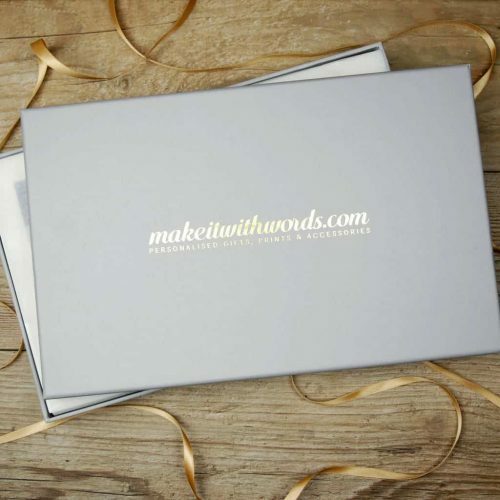 A GIFT TO LAST A LIFETIME!